Originally published here for Red Fightback. Once upon a time there was a political party that existed solely for the benefit of the people. It gave them a welfare state and the NHS out of pure benevolence. Then along came someone called Tony Blair who slowly turned it into a bad capitalist party until it was restored to its former glory by a good old-fashioned socialist named Jeremy Corbyn. When he is made Prime Minister, all will be well in the world. The End. Yes, this is a complete fairytale with no relation to actual history. The Labour Party has never been socialist, in fact, from day one they have spent most of their efforts suppressing socialists domestically and waging both hot and cold wars on them abroad. In fact, you’d struggle to find a single imperialist war that they haven’t supported. In one sense Labour has always opposed the Tories, in the same way that Diet Pepsi opposes Pepsi, neither represents a new brand of politics, and both parties work within the same framework, that of capitalism. So, if Labour aren’t socialist and neither is Corbyn, why does he do things like talk about requisitioning rich people’s empty property? In a word: opportunism. He’s a bourgeois politician, after all, but a deeper explanation lies in the very origin of the Labour party. It is not simply ‘a working class party’, and it certainly has never been a socialist one (this has been thoroughly debunked many times over). It is in fact a capitalist-imperialist party which grew out of the more well-off sections of the working class (a labour aristocracy) and the petit-bourgeoisie (small/medium business owners): roughly speaking, the middle classes. Any working class gains Labour has legislated for in parliament have always been to establish its own credibility (taking credit away from grassroots activists), have never been beyond what the ruling class is willing to compromise, and have been enacted in order to blunt and undermine more radical working class demands. Their underlying message: the working class and ruling class can reach an understanding; there is no real need to change the system. Thus they seek to cover up the essential class antagonism and pull the wool over our eyes with the suggestion that the workers needn’t ultimately overpower the class trying to grind them down. Corbyn’s role is no different – he has two sets of messages: one set for the ruling class and another for the working class. We can clearly see which set gets enacted wherever they contradict each other. This no-man’s land inconsistency and doublespeak springs out of the position of the middle classes, but, as the saying goes, if you stand in the middle of the road you get hit by both sides. Labour’s foundation is in the better-off sections of the working class, represented by the most powerful trade unions, and in sections of the petit-bourgeoisie. This part of society draws its status from differentiating itself from the poorer sections of the working class – you can see this distinction in phrases like ‘strivers and skivers’. Its privileged position depends on a mutually beneficial relationship with the ruling class. In return for bestowing privileges, the ruling class gains a defanged and pacified working class, at least for the moment. These privileges are both political and economic, giving them special status and high income. But while these privileges make them dependent on the ruling class and ideologically acquiescent, ultimately even the highest sections of the working class will be better-off with socialism. The Labour Party is in alliance with the ruling class, winning temporary privileges which disproportionately benefit the labour aristocracy. These privileges, which are never adequate or available to the full working class, are paid for with the blood, sweat and tears of globally oppressed nations and are subject to recall as soon as the ruling class hits a crisis – at which point we get austerity. The Labour Party’s side of the bargain is to channel all resistance through bourgeois institutions and suppress any attempt to build a movement outside of itself. It sells us on the idea that it can tame capitalism and reform it into a system that works for everyone. However, it is impossible to ‘manage’ capitalism in favour of the working class, because capitalism is a mechanism for maintaining bourgeois class rule. The nature of the system is that capitalists must vie with each other and compete for profits, the surplus value they extract from the working class. They must constantly grow or otherwise they are mincemeat, swallowed up by the hungrier wolves. The principal way they increase profits is by forcing workers to do more for less. Both classes cannot come to mutually acceptable terms: one must gain dominance over the other. Thus, the working class must take control of the state and wield it for its own interests. The Labour Party spurns any idea of fundamentally changing the class in control of the state, while upholding the legality and democratic mandate of bourgeois institutions. They can no more make capitalism work for ‘everyone’ than they could control the weather, even if they had the will to do so. To believe otherwise is to indulge in fantasies that bear no relation to the material world and its workings. Social Democracy has basically been an attempt to suppress the continual economic crises that are unavoidable and inherent to capitalism. They point to underconsumption and underpayment of wages as the cause of capitalist crisis, rather than as symptoms. Thus, according to the theory, unemployed members of the working class receiving welfare would still have money to buoy up slumping markets, along with higher wages for workers, and governments could help business through tax and spend fiscal policy. The purpose is ultimately to preserve the profits of the ruling class and perpetuate the exploitation of the global working class. The architects of social democracy as a theory and a practice in Britain are not even exclusively Labourites: its principal theorist was J.M. Keynes, a Liberal, the welfare state was based on a report authored by another Liberal, Beveridge, and the education reforms were spearheaded by Tory R.A. Butler. The Labour Party has followed a recurring pattern throughout its history. It has a left flank that builds up credibility on social justice issues at a safe distance from power. The party then brings in a popular figure with a strong leftist brand to the inner sanctum and slings a saddle over their back, puts a bridle and bit in their mouth, and then mounts. They then have the reins, the whip hand and spurs to make sure the horse rides the right way. Corbyn has from time to time shown some signs of disobedience, and this is enough for his super-fans to claim that he has integrity. Much of this reputation for integrity is based on actions, statements and beliefs that Corbyn has abandoned since becoming leader and he has repeatedly exposed his true priorities, for example, when he sacrificed the lives of Syrian people for the sake of ‘party unity’: despite commissioning a poll of members showing three quarters opposed bombing, he allowed his war-hungry MPs to vote ‘with their conscience’ to bomb Syria. What lesson can we draw from this? Don’t expect arsonists to put out fires. Furthermore, despite much rhetoric on housing and homelessness, it is the Labour Party that is social cleansing in the poorest neighbourhoods of London, and Corbyn has neither confronted them nor opposed them with any meaningful action. If you believe the Labour Party will solve the housing crisis or any other issue facing the working class, you might also be interested in this amazing muscle gain product that works with no exercise or dieting required whatsoever. Available at an amazingly low price, honest! The choice between revolution and reform is not a choice between a bird in the hand and two in the bush. Supporting one prevents the development of the other. Moreover, it’s not a choice between certain concrete reforms in the present versus unlikely full revolution in the future – there’s a process involved in each project. The process of fighting for revolution wins small victories along the way, I prefer to call them concessions, call them reforms if you like. But the process of supporting the bourgeoisie in the hope they generously offer some reforms is abject and self-defeating. Not only that, but it invariably involves (at least, I’ve never seen any different) deceiving people about the nature of the reforms and the nature of the party supposedly dealing them out. 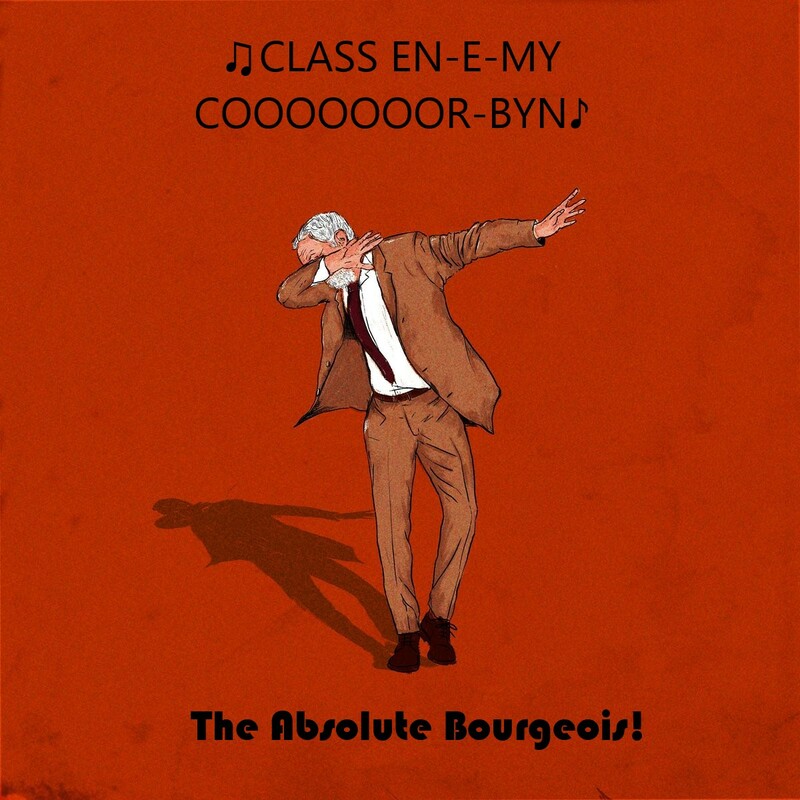 As Lenin said ‘The stronger reformist influence is among the workers the weaker they are, the greater their dependence on the bourgeoisie, and the easier it is for the bourgeoisie to nullify reforms by various subterfuges’. The seemingly progressive policies and rhetoric that come from reformists thus function to contain radicalism. We must constantly be aware of this deception and use the fight for reforms to broaden class struggle. Supporting the bourgeois system (by voting/encouraging people to vote) and the superintendants of that system (i.e. the party you vote for, Labour or otherwise) while also intending to build a movement towards a new system is like boiling water for ice cubes, or hiring Myra Hindley as a babysitter. It’s self-defeating. You cannot oppose something and simultaneously support it – it’s antagonistically contradictory. There are differences between the two parties, of course, we’re not arguing that they’re exactly the same. The point is that those differences do not amount to one being inherently more progressive than the other. They each have ultimately the same function – maintaining capitalist control. The differences are largely ideological and expressed in different rhetoric, while the outcomes, the policies, are dictated at a macroeconomic level and through class struggle. To place faith in Corbyn’s rhetoric is naive at best. Theresa May has also hit out at bosses, has claimed she governs ‘not for a privileged few, but for every one of us’. She has promised ‘tough new rules’ to tackle abuse of workers by executives. Even Donald Trump has played this game, attacking Amazon for not paying taxes. Gordon Brown has said the bankers who caused the 2008 crisis, who he had rewarded with the biggest bail-out in history, should be jailed. It’s funny how Labourites’ critical thinking only kicks in when applied to the Tories. Lesson? Politicians say stuff to win votes. Corbyn is no different. You can see how prioritising Corbyn snuffs out activism. Wherever it is the Labour Party who are attacking workers, tenants or the unemployed, activists are silenced with the slogan ‘kick the Tories out’, any mention of vicious cuts by Labour councils gets you accused of being a crypto-Tory, or wanting the Tories to win. Everything is reduced to electoral politics, and defending working class housing against Labour councillors isn’t part of the plan. Guess what happens when Labour win. Are we then allowed to criticise his holiness Saint Jeremy? Not a chance. Do you want the Tories back in? The lesser evil argument is deliberately used to muddy the waters. If there is a choice between two options, one of which is worse, of course it makes sense to choose the better one, even if that is still pretty bad. However, what the purveyors of this argument do is not just neutrally and passively choose a lesser evil, while presumably otherwise fighting for a positive option. No. The vast majority of their efforts are spent trying to persuade people that Jeremy Corbyn and his Labour Party are a positive option and therefore don’t waste time with any other alternative. You cannot both choose this lesser evil and choose a positive alternative – they’re mutually exclusive. The only solution is putting the working class in power; to do that you must confront, combat and ultimately conquer the ruling class in revolution. You can’t have a revolution till you build a movement and the conditions are right. Let’s not wait till the conditions are right and find we don’t actually have a movement because we were too busy wiping the arse of the Labour Party.